One of the greatest opportunities Freemasons have that so few members widely take advantage of is the ability to travel far and wide to visit other Masons and lodges. That could mean lodges in your own state, across the country, or around the world. 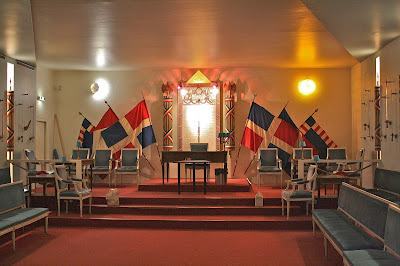 Despite all of the stubborn insistence by some that "regular" lodges, practices, and rituals are all alike, nothing could be further from the truth, even in the U.S. And at nearly every lodge you visit, I promise you'll find something new or different to make note of, carry home with you, and take back to try at your own. It can be as simple as the "no Brother sits alone in this lodge" custom I saw in Rhode Island, or as awe inspiring as a new or old lodge room's decor. 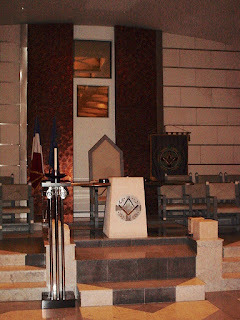 Numerous Continental lodges, especially in France, have embraced modern architecture and decor far more than Masonic lodges in the U.S. Part of that unquestionably has to do with the huge variety of unrecognized grand bodies throughout Europe, but not entirely. 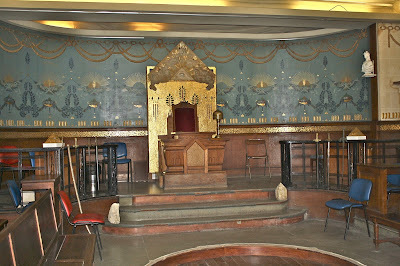 But don't forget that under the German occupation, countless older lodges throughout Europe were destroyed by the Nazis, resulting in few surviving intact after the 1940s. 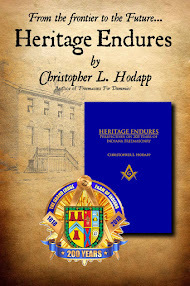 In the U.S. we really don't have many dedicated Masonic buildings prior to the mid-1800s, and our major Masonic building boom was between about 1900-1930. Before the great awakening to historical architectural preservation began in the 1960s, Americans gleefully knocked down buildings after twenty years, almost like clockwork. That, combined with our nation's nonstop frontier expansion into the wilderness throughout the 19th century, created very, very different urban landscapes than the sort that developed in Europe for centuries. Consequently, on a walk through London, Paris, Rome, Athens, or the other major European cities, you'll find a chrome and glass tower a block away from a row of homes and shops from the early 1700s, across the street from a Renaissance church, a medieval chapel, or even a Roman ruin. In Europe, they seem to protect and respect the noteworthy, but aren't totally architecturally reverential about the past when it comes to daily living. 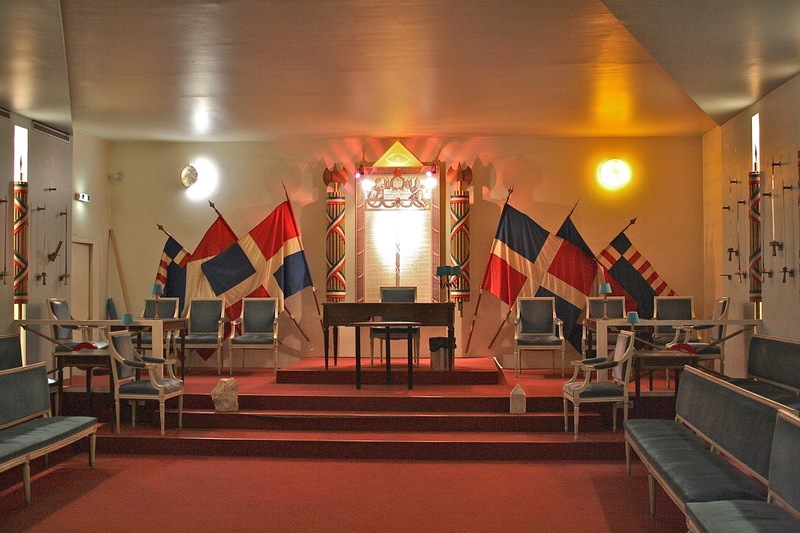 Masonically, this whole dichotomy results in a truly wild variety when it comes to their lodge rooms. As I say, if you get to travel for business or pleasure, always try to seek out a lodge to visit for a meeting, or just to have a peek inside. I promise, you won't be disappointed. Now. If you CAN'T travel yourself, here's a pleasant diversion. At the end of this month, what promises to be a spectacular new book is being published in France that will let you save some air fare for a while. 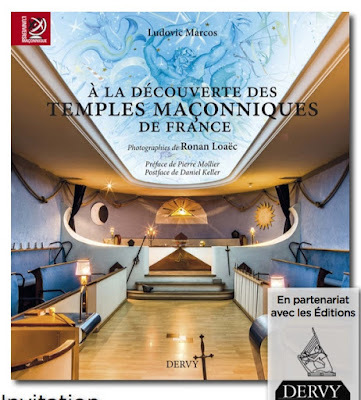 A la Découverte des Temples Maçonniques de France (A Discovery of the Masonic Temples of France), written by Ludovic Marcos and photographed by Ronan Loaëc features more than 600 pages of photos of the huge variety of Masonic temples throughout just that country. The creators spent three years touring, photographing, and documenting these incredible French temples. One thing that will stand out and surprise you is just how small so many of these lodge rooms really are, frequently with seats for no more than 40, if that. They do have their large rooms, too. They are old, modern, and everything in between. Regular, irregular, male, female, co-Masonic—it doesn't matter. 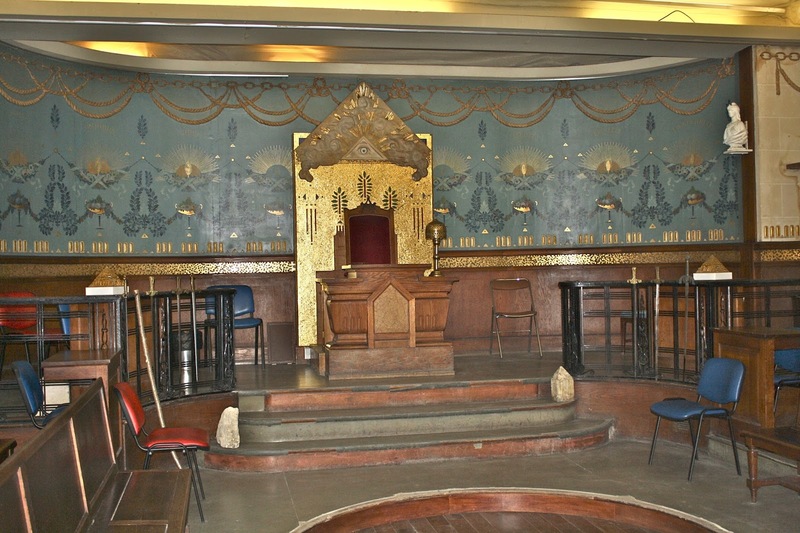 You won't burst into flames or be expelled by your Grand Master for simply seeing the rooms in which other Masons in the world practice our gentle Craft. And you might just be motivated to take on redecorating your own, as a result. Just because you have a steel pole barn in a field on the outside doesn't mean your sacred retreat inside has to be just as plain and uninspiring. 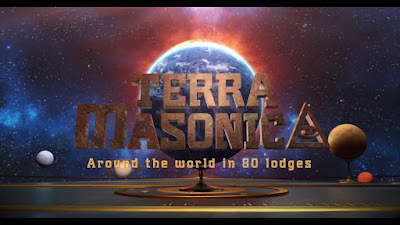 While I'm on this subject, I'll take another opportunity to again bring Belgian Freemason Tristan Bourlard's incredible film Terra Masonica: Around the World in 80 Lodges to your attention, for much the same reason. If you can't travel the world Masonically due to time constraints or a thin bank account, these resources are the next best thing. Put them both on your Christmas list, because you won't be disappointed. It's available on his website in several different languages. And if you're more interested in the English side of the Channel, seek out a series of five books exploring the Masonic Halls of England by Reverend Neville Barker Cryer, published by Lewis Masonic in the 1990s. 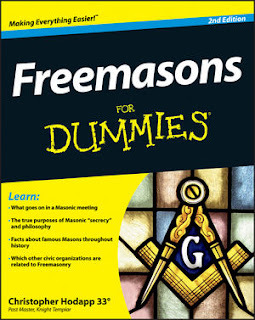 They are divided up into different volumes for Masonic Halls of the North, the South, the Midlands, North Wales, and South Wales. The photos are unfortunately in black and white only, but they still give you a great sense of the variety of these historic English temples. They have been out of print for some time, so search Abebooks.com for them. The Museum of Freemasonry, in the Grand Orient of France building on rue Cadet, is extraordinary. There is a wonderful restaurant on the top floor, with views of Paris. And the library overflows with treasures from all over the world. There are two Masonic shops virtually next store, with china and porcelain that would make anyone happy. The street itself is full of cafes and greengrocers. In short, an experience.